Looking for a solid mix of style and ruggedness plus the convenience you need to get a family around town? Explore everything the new Toyota Sequoia has to offer. This plush SUV is decked out on the interior with convenience and comfort features but still has enough power to get you where you need to go OFF the pavement. 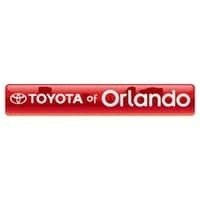 Get the best of both worlds and get behind the wheel – call Toyota of Orlando for your test drive now. Love what you drive without exceptions – get something that can handle every single one of your drive time needs. The new Toyota Sequoia offers a powerful performance thanks to a 5.7L V8 engine and optional 4WD capabilities, but it also has a comfy, plush interior trimmed in leather and offering enough space for 8 people. It’s got the convenience and efficiency features you need via Entune, navigation, and a rear-seat entertainment system. You’re covered no matter where your busy life takes you, and you’ll get there safely and in style. Come see what the Toyota Sequoia has to offer you at Toyota of Orlando.